TICKETS TO THIS EVENT ARE NOW SOLD OUT For any further info please contact the event organiser. 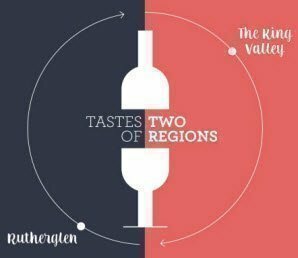 Tastes of Two Regions brings the wine and food of two magnificent regions to Canberra. At the exhibition, taste over 200 wines, plus cheese, olives, chocolate and artisanal goods. Intimate masterclasses give you an opportunity to learn more. Meet the makers, stock your pantry and be inspired for your next gourmet getaway. Tickets $35pp, 3hr tasting session including Spiegelau tasting glass to take home. Why not add a gourmet hamper full of delicious produce to enjoy while at the Expo on Sunday? Pre-order your hamper which features Boosey Creek Cheese, Pialligo's smoked chicken, house pickles, Three Mills Bread, lavoche and a mineral water. Get your order in and pick up from our food area on the day! Serves two people. Gourmet picnics and platters by Pialligo Estate and Smokehouse also available for purchase on site all day. Wine available for purchase by the glass or to take home. Please note: your tasting session ticket not only gives you access to your allocated tasting session, but also to the rest of the exhibition for the entire day (10am – 5pm) including gourmet food, wine by the glass, live music and masterclasses.